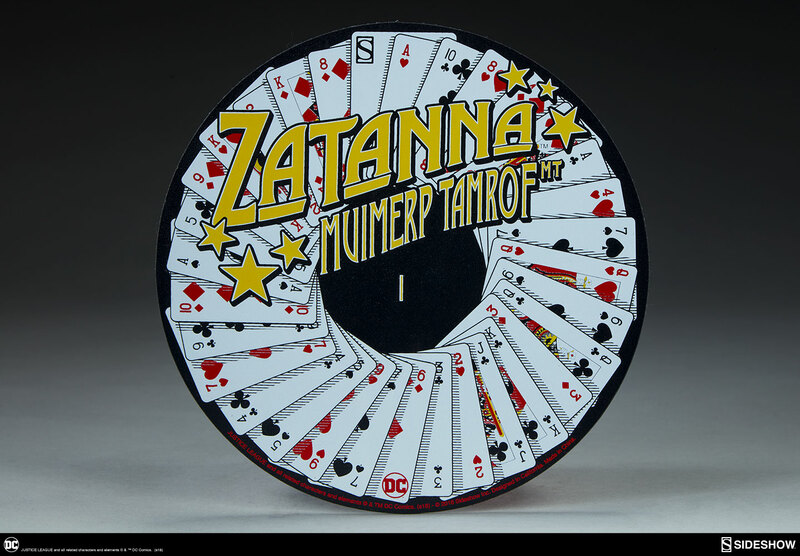 Sideshow is proud to present the mystical, magical mistress Zatanna, and she's sure to put a spell on you! 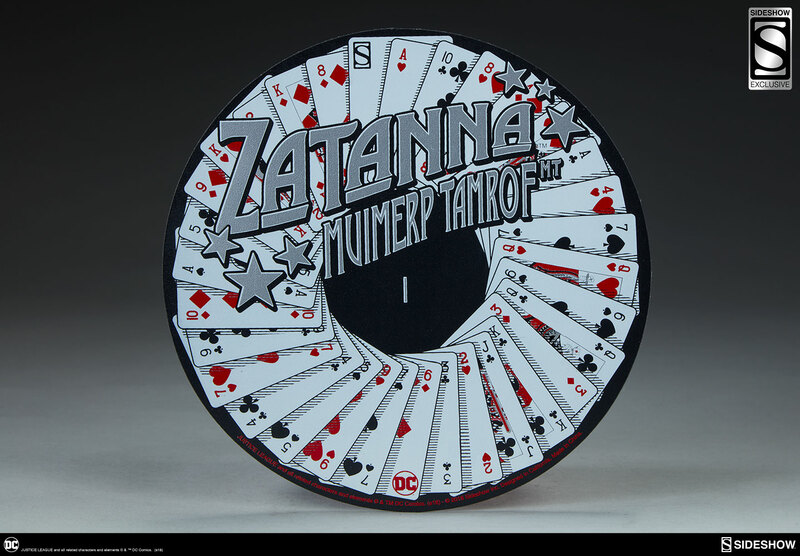 Joining the lineup of some of DC’s greatest heroines, Zatanna takes the stage in this quarter scale Premium Format Figure designed to showcase this amazing magician in action. She is the daughter of the famous Zatara, and she speaks backward to perform powerful spells and protect the innocent. 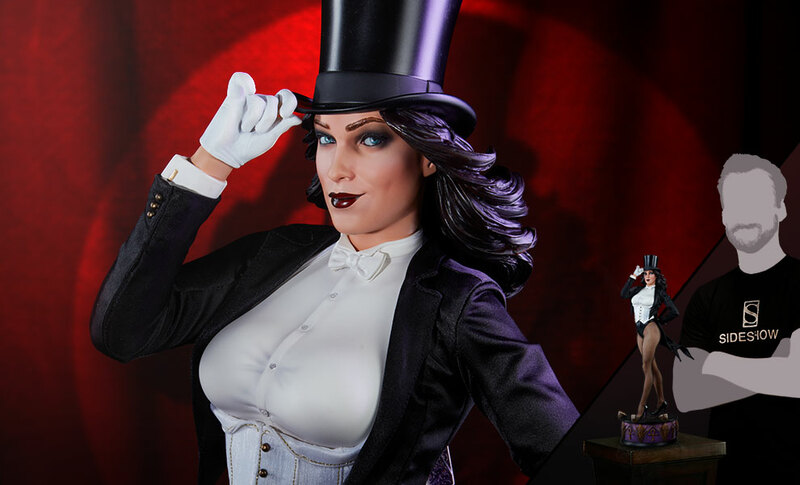 Magicians are masters of misdirection, and with this beautifully sculpted Zatanna statue, you won’t know where to look first! 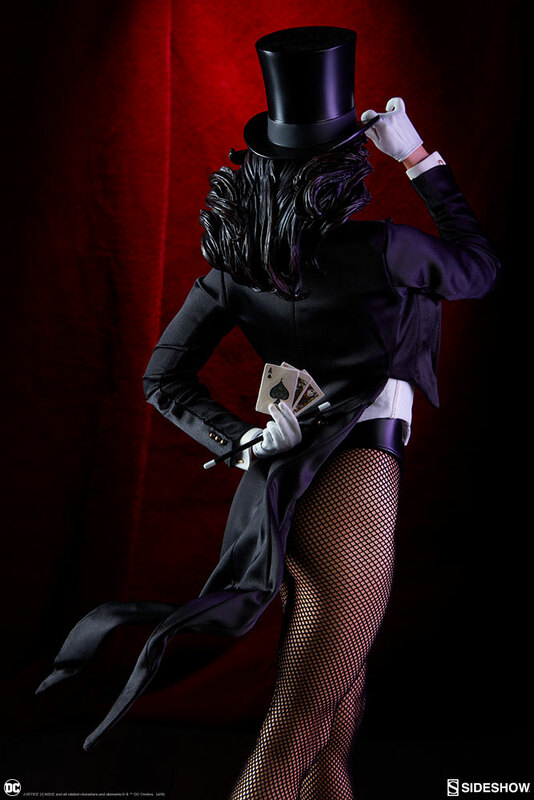 She wears a sleek black top hat, tipping it with a white-gloved hand while she gives you a knowing smile. Zatanna has a few tricks up her sleeves which are a part of the tailored fabric black jacket and white vest that make up her work clothes. She is also wearing her signature fabric fishnets to complete this classic look. 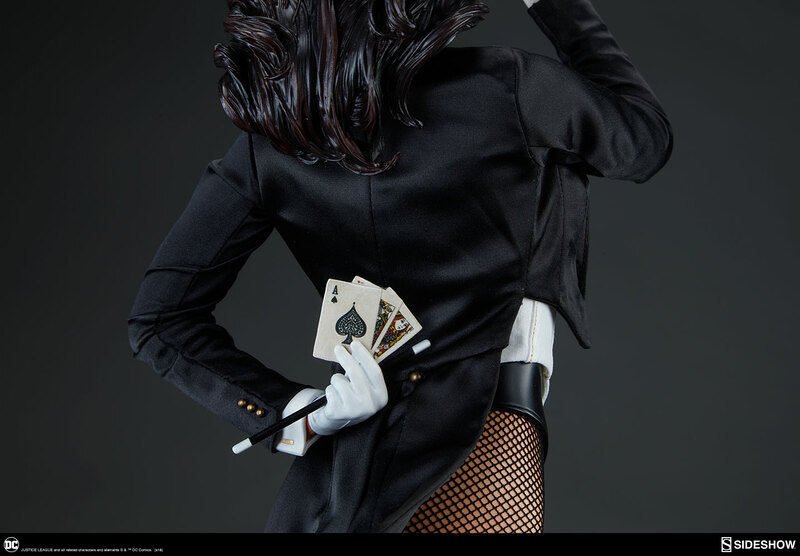 Zatanna holds playing cards and her wand behind her as she prepares to dazzle you with the prestige of her trick. The mistress of magic comes with a detailed, unique portrait to capture her charm, complete with painted makeup and a flowing hairdo sculpted in her effortless, sensational style. Of course, magicians never reveal their secrets, even when it comes to fashion! The exclusive edition of this Premium Format Figure comes with a white rabbit on the base, already pulled out of the hat for display convenience. Pay as little as $220.50/mo.